Adjust the headlight beam, both horizontally and vertically. to adjust the headlight beam, adjust the beam horizontally first, then vertically. 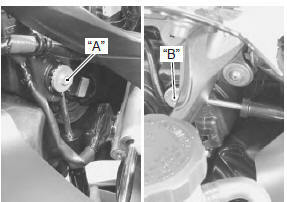 It is not necessary to remove the combination meter to turn the adjusters.